Jockamo has wonderful fiber - soft and dense with a soothing handle. He has a beautiful crimp style and is VERY uniform. On top of all of that, he has a quiet dignity, great conformation and perfect teeth! We've had a lot of fun discovering what Jockamo can do. So far when bred to fawn, we get fawn...when bred to black we have gotten grey...so far without exception. Histogram information is not available for Jockamo at this time. His fiber was mill graded a low grade 2 which places it at about 21 microns. 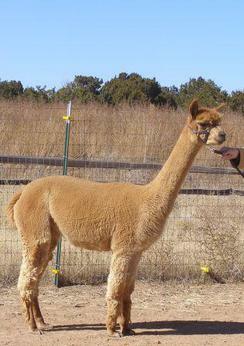 Frannie is a true beauty possessing a super fine fleece, presence galore and very correct conformation. She brings a lot to the table and would make a wonderful addition to your herd. She is one of those alpacas that catches your eye - poised, graceful and when you get a good look at her fleece...well, it's enough to make you go...hmmmmmmm. She is also a fantastic mother. Easy breeder, easy birther, great milker. I just love this guy. He has grown into a beautiful young male, with great coverage, and a long fine staple. His fleece is extremely bright, has a wonderfully soft handle, is well organized and dense...I really like what this boy brings to the table. We are long on his genetics so have decided not to keep him, although I am tempted. I will want to retain the right to breedings though - He does have some intriguing attributes. Financing is available to qualified buyers. For most sales we require at least 1/3 down and can offer 0% financing for up to 2 years. 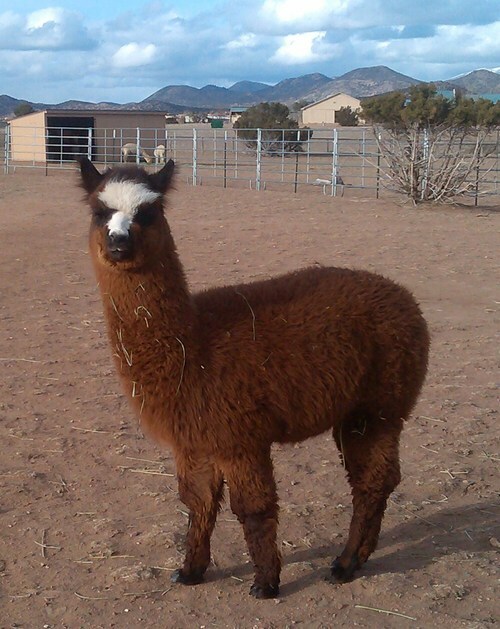 (We're in the alpaca business, not the banking business! ) Installment plans are also available for breedings and are negotiated on a case by case basis. We charge a $5 per month handling fee for all installment payments and we accept all major credit cards.